The Houndstooth Press has created a bucket list full of the many things that NWA has to offer! DISCLAIMER: Article updated 4/6/17 due to Common Grounds Coffee closing in 2016. 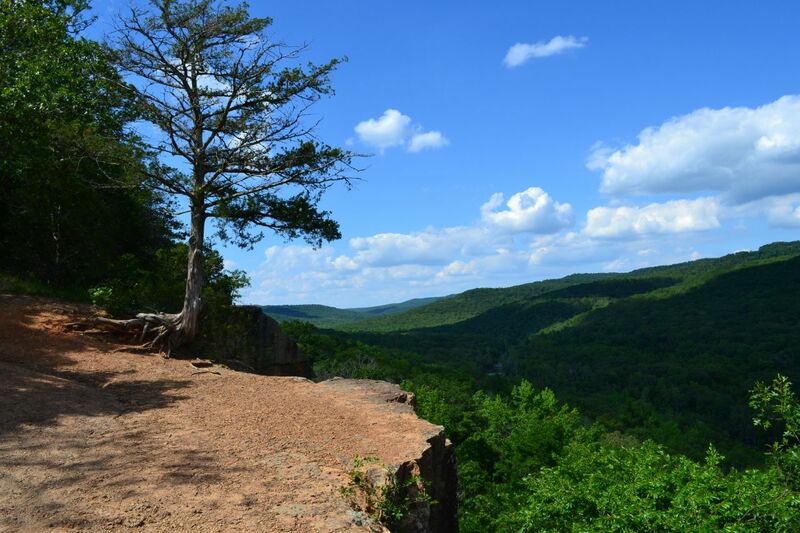 It has been replaced in this article with Puritan Brew Co.
Devil's Den State Park offers 2,500 acres of incredible campsites, cabins, and hiking trails through the Ozark Mountains. 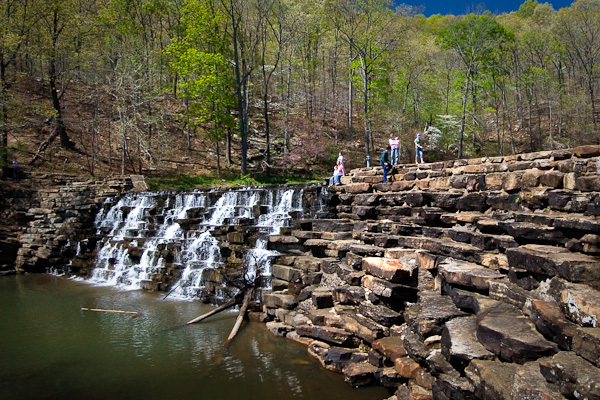 Head out there to get that perfect Instagram photo overlooking scenic Arkansas. After your hike through Devil's Den State Park, cozy up at one of Fayetteville’s local coffee shops for a cup of joe! Dickson Street’s Puritan Brew Co is the perfect place to study by day and grab a beer by night. If you're looking for the hottest study spot, Mama Carmen's, located just down College, is a hoppin' study spot for students. 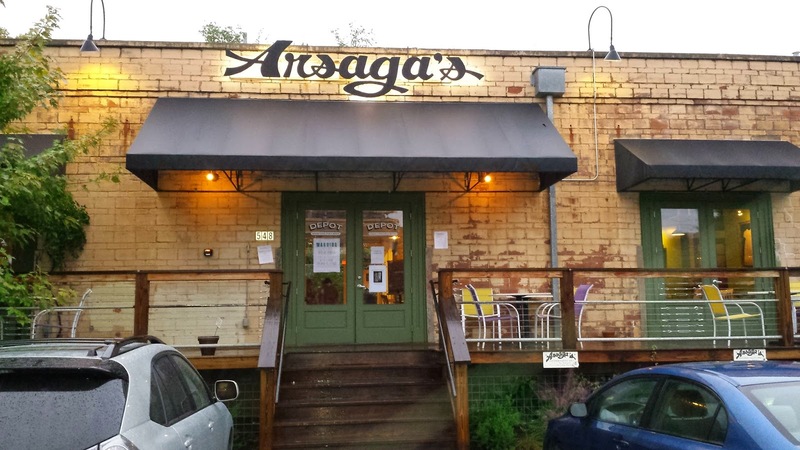 Or maybe you're feeling like going outside but you also wanna go grab some coffee, in which case Arsaga’s Café located on Dickson Street or their other location at the corner of Church and Center off the square is the place for you. This joint has been made famous by their coffee, crepes, fancy toast at Church and Center, and gracious service! At Schulertown, you can find a food truck to satisfy any craving! Whether you choose an ice cream cone from Burton's Comfort Creamery or some of NWA'S finest Tex Mex, Fayetteville's various food trucks will leave you feeling full and happy! There's definitely a reason that Arkansas is called the Natural State! Take a trip downtown to the Fayetteville Square on a Tuesday, Thursday, or Saturday morning and visit the dozens of booths set up by the local farmers, gardeners, artists, and bakers. Don’t forget to bring your dog! We can hear the engines roaring now! One of Fayetteville’s biggest events brings bikes, motorcycle enthusiasts, live music, and a plethora of fried food to Dickson Street. Come enjoy the company of the many patrons from across the U.S. and experience all that this event has to offer! Crystal Bridges Museum of American Art offers a selection of 227 rotating works by 102 artists. This museum is definitely a sight to see! George's Majestic Lounge is famous for bringing amazing musicians to Fayetteville! Ben Rector, Aaron Carter, Three 6 Mafia, and Cherub are just a handful of the many talented artists to grace the stage at this fabulous concert venue. Stop on by while you're strolling down Dickson Street to view the lineup of musicians posted on their door. Don't forget to buy tickets online; they sell out quickly! Did you know? Sam M. Walton opened the first Wal-Mart right down the road in Bentonville, Arkansas. 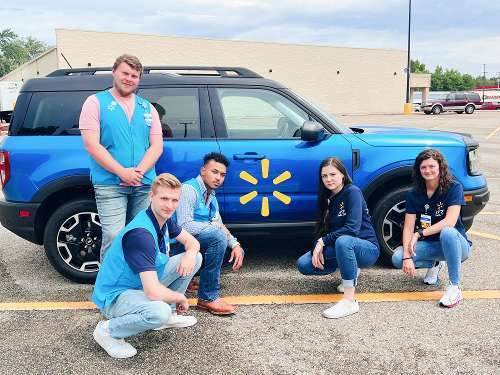 A museum has since opened in his honor, which provides a beautiful depiction of Wal-Mart's history and success. 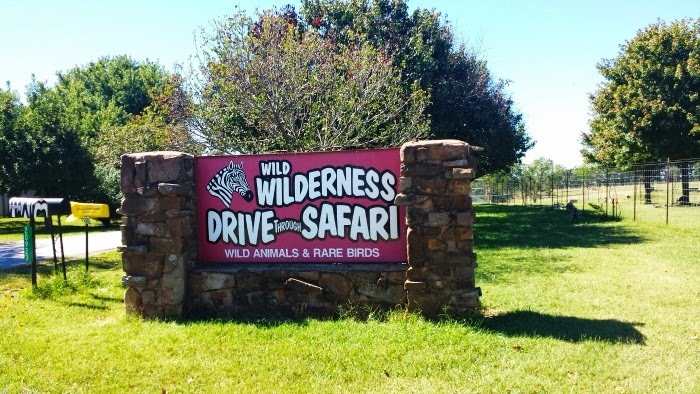 Don't miss out on the wondrous Wild Wilderness Drive Through Safari, located nearby in Gentry, Arkansas. If you're lucky, you can even meet a lion cub at their petting zoo! Our bucket list wouldn't be complete without mention of The Houndstooth Press! Come on in and meet the team behind your favorite custom t-shirts. This is where the magic happens!